It’s a sad fact that many homeowners in Orlando, FL and nearby communities pay little to no attention on their duct system. Little do they know, that it is an important factor in their energy-saving goal. According to the Energy Star, a duct system that is well-designed and properly sealed can make your home more comfortable, energy efficient, and safer. A new ductwork system moves air from your HVAC system to the different parts of your home effectively. Over time, however, it develops cracks, holes, and leaks that allow air to escape and compromise the comfort inside your home. If hot and cold spots are quiet obvious, seal the ducts and you will notice a more comfortable temperature, for sure. Changing the air filter is not enough to ensure healthy indoor air quality in your home. You should also make sure that the ducts are properly sealed. Leaky ducts allow for the entry of harmful pollutants, allergens and even poisonous gases that can cause health risks. They also provide a breeding ground for mold, pests, and bacteria. A properly sealed duct can give you big-time energy saving since the air that your HVAC system produces are fully delivered to the different parts of your home. When the air does not escape, your unit won’t have to function longer or harder to heat or warm your home. We all know that gas-powered appliances produce combustion gases which should be vented out properly through your home’s ventilation system. Leaky ducts can vent these harmful gases towards your home and put your family’s health in great danger. Fortunately, sealing the ducts and regular HVAC maintenance service can save you from this chaos and keep your home free of these gas contaminants. Duct sealing not just offers comfortable living space for you and your family. It is also an important requirement to prevent overheating and fast wearing of your heating and cooling units. Simply put, you are adding years to your unit’s life by merely sealing the ducts. Duct leaks are invisible to the naked eye. 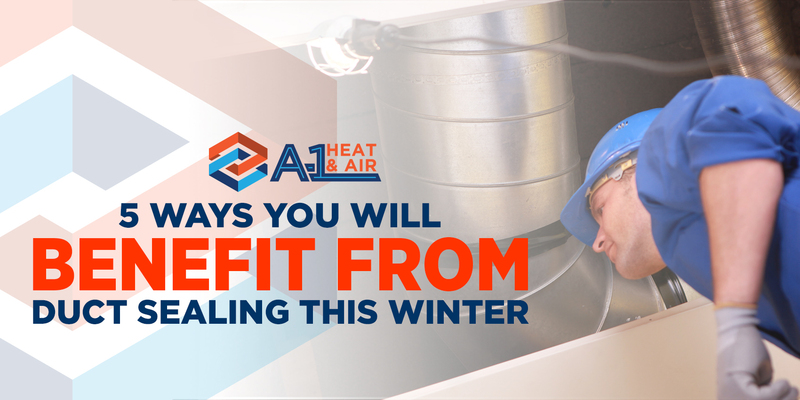 But with the professional skill and equipment of our team at A-1 Heating and Air Conditioning, we can help you spot the issues during a ductwork inspection. Schedule service with us today! Should You Install A New A/C in the Spring?